Westerns don't get any better than this. This is the third,and arguably the best, of the so-called "spaghetti western" trilogy. 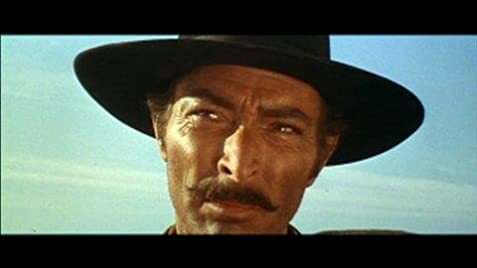 It is ironic that, at the time the three Sergio Leone westerns were released, they were largely panned by critics as being poor and even laughable imitations of American-made westerns. The fact that they were filmed in Italy and Spain resulted in them receiving their amusing nickname which was intended to degrade them at the time. Somehow, over the quarter century or so since their release, the critics have tended to change their opinions, and now these movies are generally regarded as classics. Perhaps this is because Clint Eastwood was principally known only as the second banana, Rowdy Yates, in the television series "Rawhide" when the films were produced but since then has achieved superstardom. But I also think it goes beyond that. I believe the critics decided to take another look at these films and realized that they had been premature in writing them off. Actually, I believe the three films were considerably better than most of what Hollywood produced. 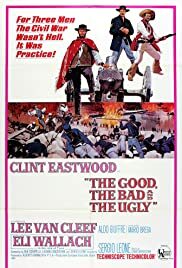 In fact, I think that TGTBATU ranks among the best westerns ever produced bringing to mind the magnificent films of John Ford, the undisputed master of that genre, and his protege, the incomparable John Wayne. I have nothing but praise for this film. In fact, I rank it as one of my favorite films of all time. I could write volumes of what is good about this film. But since its qualities have been oft repeated in other viewer reviews, I will focus on what others didn't like about it. Most of the IMDb reviews had only one major complaint: the film is too long. I disagree. In fact, in spite of its nearly three hour length, I was disappointed that it ended. I was so absorbed in the film that I was disheartened to have to return to reality. The combination of story, cinematography, acting and musical score left nothing to be desired other than more of the same! The sequences that seemed to drag on in the opinion of other reviewers were necessary to fully create moods and to drive home important points. For example, the opening sequence might be regarded as needlessly long as Angel Eyes taunts a hapless man over a leisurely meal. But to me, scenes like that are what makes the movie great! The time allows the viewer to fully appreciate the amazing replication of the primitive home and the pitiful life of its dirt-poor inhabitants. I felt as though I was sitting there at the table; I was half tempted to reach for a bowl and spoon to partake of the meal. And all the while the suspense was building towards the inevitable climax. You know it's coming but not when and the length of the scene drives you crazy but makes it all the more satisfying when it does happen. Another example is when Tuco punishes Joe by forcing him to walk through the desert. This is possibly the only time that one might become bored with the film. But again, I think the time for the scene was justified in that we are able to receive the full impact of that experience and enjoy the haunting music at the same time. Joe's subsequent predicament might not have had much credibility had this sequence been abbreviated. In my opinion, one of the essential elements of a great film is creating moods that absorb our attention. This often takes time, lots of time. For example, many of the scenes in the magnificent film "Dr. Zhivago" were almost painfully long but they were necessary to create those startling surrealistic moods, and the film would not have been great without them. In many ways, TGTBATU has this same sort of greatness. It is a sweeping epic with very compelling characters and magnificent settings that draws the viewer in and doesn't release him until the closing credits begin to roll. When it's over, you feel that you've been on a long and exciting journey. Such a journey takes time. In summary, if you haven't seen this film, buy it right away. Don't rent it because you will not want to part with it once you've seen it. Then curl up with it on a cold, rainy Sunday afternoon when you are in no hurry to do anything. 493 of 570 people found this review helpful. Was this review helpful to you?